First wallpaper calendar of 2007. 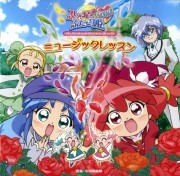 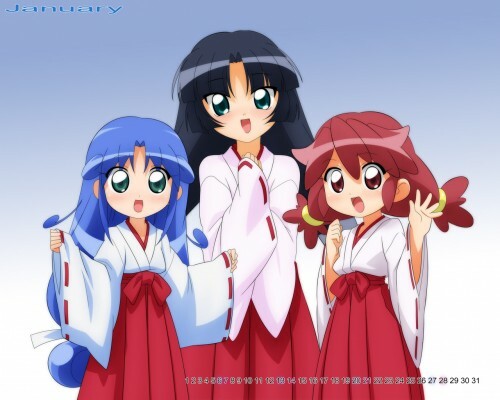 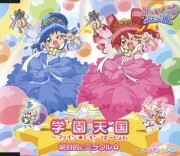 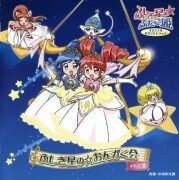 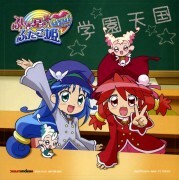 It's Fine (red hair), Rein (blue hair) and unknown (black hair) dressed as miko from the anime Fushigi Boshi no Futago Hime. 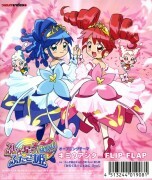 Not my scan. 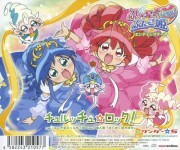 Artwork by Wave Ride.